Based in Germany, Ergon creates equipment and gear for cyclists that are always impressive and well designed. Certainly their clear focus on delivering products at each contact point with the bicycle has served them well. Driven by ergonomics, durability and sustainability, Ergon has consistently delivered a solid line-up of grips, packs, saddles and other gear for several years now. Ergon has now launched their latest product line, the SR Road Series and SM MTB Series of bike saddles for men. Ergon sent over one of these saddles, the SR Pro Men for testing on our 3T Exploro gravel bike in various conditions. The saddle makes a nice first impression, with its clean lines, functional design and a clear focus on performance and ergonomics. The SR Series is a road specific saddle, and Ergon says that it was designed to address various forms of potential discomfort specifically for men. Initial impressions were very positive, as it was a quick improvement over a stock saddle with its center channel that was designed to address areas of higher sensitivity. Found on many of Ergon’s saddles, TiNox is used on both the Comp and Pro models. Overall lighter than solid Titanium, TiNox is made from Vanadium stainless steel alloy with a small amount of Ti in a tube-shaped construction. The tubes are made in Austria in the only TiNox factory in the world. 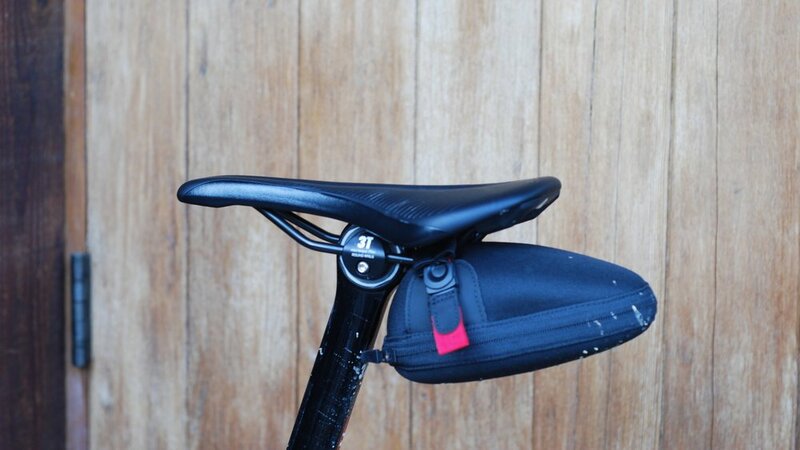 The saddle has a relatively flat top profile, feels lightweight yet with plenty of cushion. The rear ramp is subtle but sufficiently supports when in a forward tilted riding position. Ergon uses their OrthoCell technology in the sit bone area, a lighter and more durable alternative to gel which seems to distribute pressure quite well. Tested on multiple gravel rides and commutes here in Southern California, I often forgot there was a saddle there at all, which is a good thing. I also appreciate the clean design of the SR, as it blends in well with the overall look of the bike compared to some saddles out there. Even the SR’s most self proclaimed anatomical benefits don’t take over the design, as its relief channel with cut-out is a well executed element both visually and functionally. The new Ergon SR Men Pro saddle is everything a bicycle component should be with its durable and ergonomic design. From long gravel adventures to my daily commute, the SR Men Pro has been a welcome addition to my current setup. If you are looking for a comfortable and well executed saddle for road or gravel, definitely give the SR Men saddle by Ergon a try. Newer PostThe RockShox Reverb AXS: The First Great Gravel Dropper Post?